I can't believe how quickly the last year has flown by. This weekend is Memorial Day and my sweet little Samantha has less than two weeks left of Kindergarten. 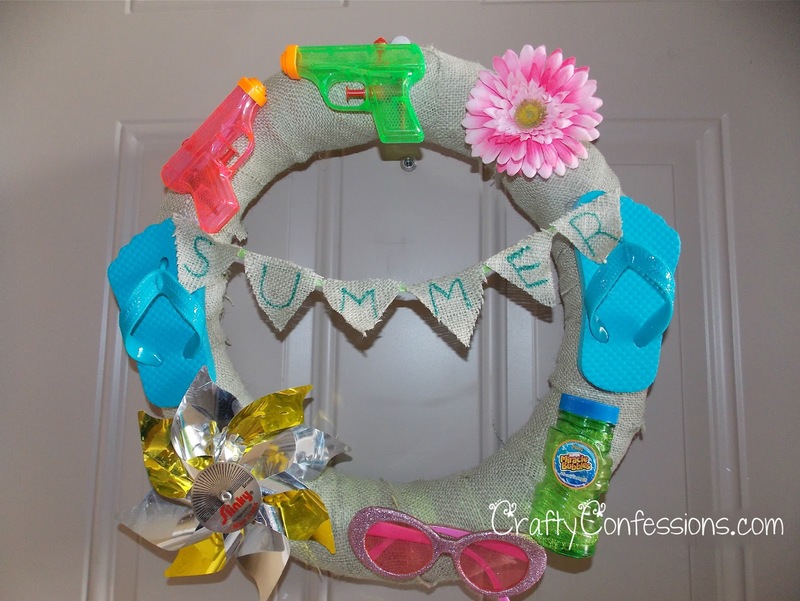 With Summer quickly approaching I decided to make a summer fun wreath to get into the spirit of things. This was a fairly quick project: I wrapped a straw wreath form in burlap and covered it with all things summery: water pistols, flip-flops, bubbles, sunglasses, a pinwheel, and a flower. Don't you just want to make some lemonade and start a water fight? Me too! Hurray for Summer! "My entry into Craftionary sponsored by Appliances Online and their American Fridge Freezers." Oh my! This is fabulous! Very fun and original! 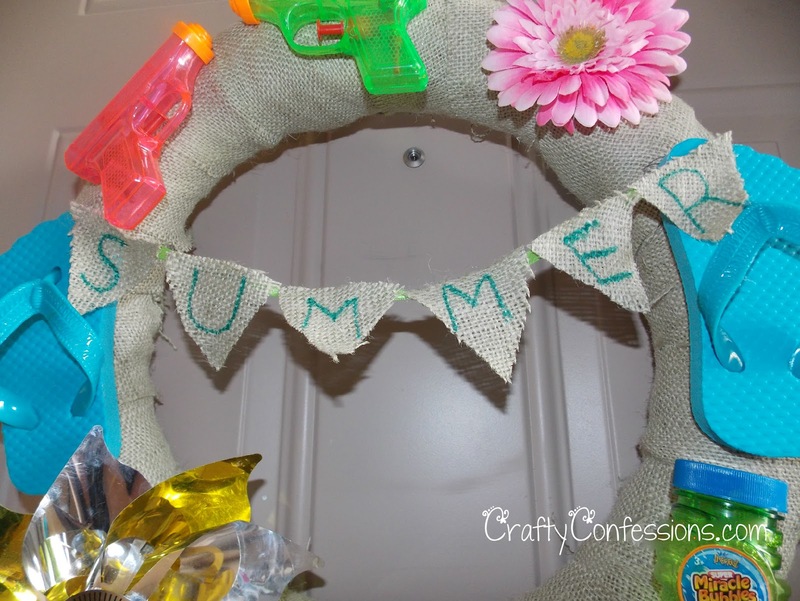 We would LOVE for you to stop over and link up this awesome idea in our Crafty Saturday Showcase. The Showcase runs Saturday through Thursday. Then our Designers will pick their top linked up picks and feature them on Friday! Stop over and join in the fun! We have a linky for crafty bloggers and ETSY/Business Bloggers! 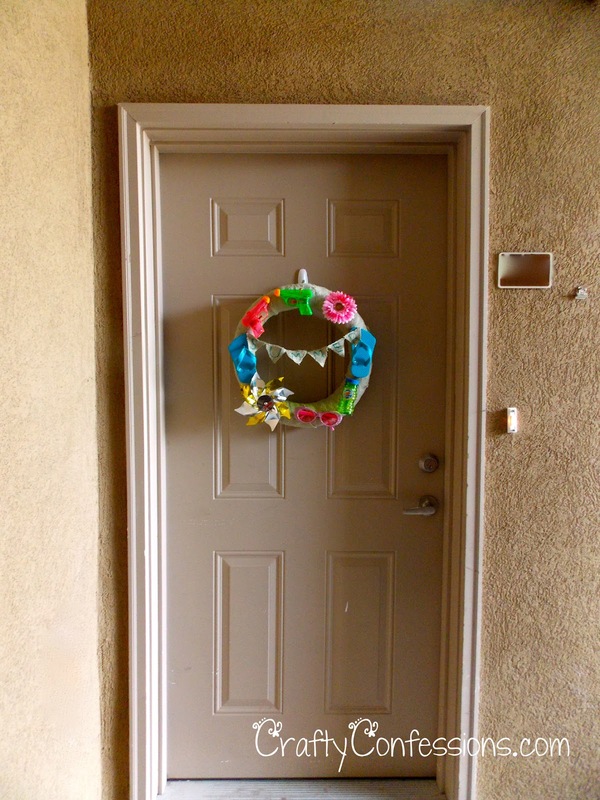 I love your wreath. It's perfect for summer! I would love it if you would consider sharing this idea with some of my readers. 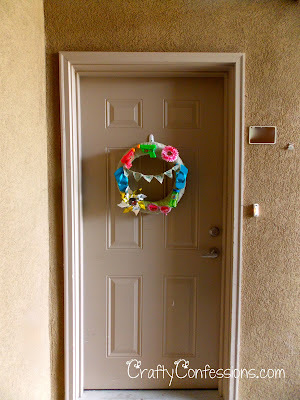 I'm sharing a linky party with another blogger so it would be linked up on 2 blogs. Here is the link. Thank you so much for linking up in our Saturday Showcase this past week! 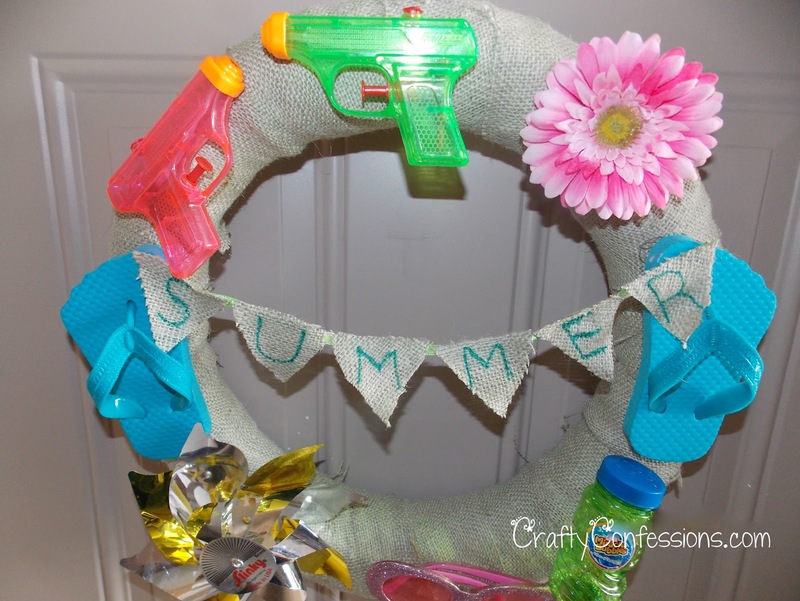 We were thrilled to have you and hope that you stop back in on Saturday and link up more crafty ideas!